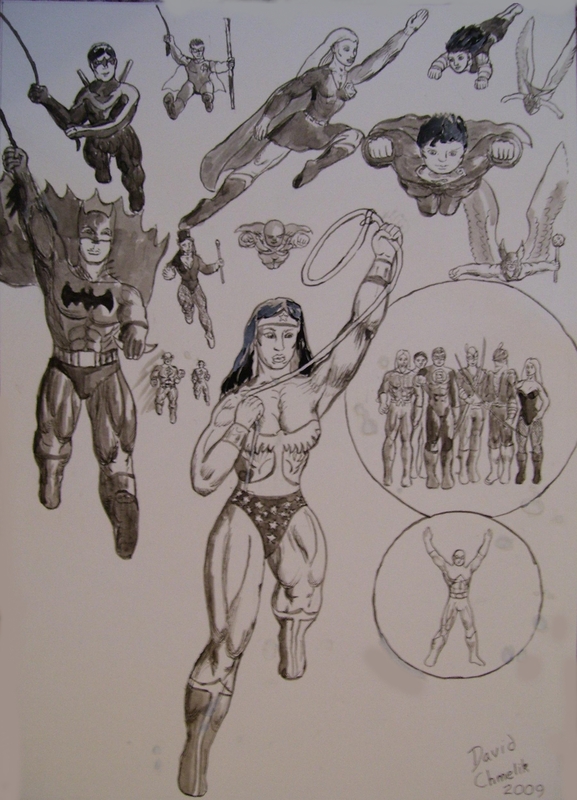 This is a pin-up I did of the original Justice League of America and the original Titans, and some of the League’s sidekicks or later superheroes who had the same name or were closely related. Posted on June 12, 2013 by Tiki God. This entry was posted in Image Gallery and tagged Free Hand or Pin Ups. Bookmark the permalink.